Environmental Health and Safety (EHS) software acts as a data management system that stores and analyzes information related to waste management, occupational health, sustainability, and worker safety. EHS solutions are primarily used by businesses to maintain regulatory compliance by tracking environmental performance metrics, providing detailed reporting functions, tracking inventory, and more. Companies also use the data gathered by EHS software to guide risk management analysis and strategy. Businesses use EHS software, or EHS management software, to reduce workplace risks, improve environmental performance through waste reduction, and ensure accountability for workplace incidents; the software can also be utilized to improve data collection and reporting. EHS software is widely used throughout highly regulated industries in which compliance standards are high. EHS management solutions often integrate with ERP systems or individual solutions within the Accounting, Supply Chain Management, Human Resources, and Manufacturing categories. Environmental Health and Safety reviews by real, verified users. Find unbiased ratings on user satisfaction, features, and price based on the most reviews available anywhere. Occupational Safety Management Software is all about managing the safety interaction you have with your workers. It combines business, processes, people and technology to create and maintain a safe environment for your workers. It’s an overall strategy to help you communicate information on hazards and best practices in your workplace, so you can develop a stronger, lasting culture of safety within all stakeholders in your organization. It’s very difficult and risky to run a successful business without a strong focus on safety. 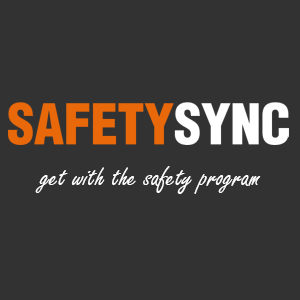 SafetySync makes it easy to deploy your safety program and not only fulfil your legislated safety requirements but go above and beyond for your workers. eCompliance's cloud and mobile solution give you a simpler and more accurate way to collect field data while generating real-time safety reports that management can use to make faster, fact-based decisions for risk management. With eCompliance, management and executives have a 360-degree real-time view of safety performance and are equipped with the necessary information to proactively reduce corporate risk, so you can better protect your people and your bottom line. Our comprehensive suite of cloud-based EHS Software Solutions deliver intuitive and robust best-practice based functionality, enabling compliance & management systems excellence across diverse industries. Over two decades, we’ve helped companies establish safe & sustainable workplace environments worldwide, offering intuitive applications for rapid configuration and deployment, with a focus on fast return on investment (ROI), service excellence and continuous innovation. 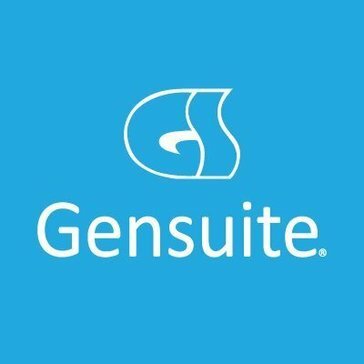 Join over 600,000 users that trust Gensuite with their compliance and EHS Software needs! CompliantPro comprises a basic system and additional components. The modules are integrated with each other but in some cases can also be implemented either individually or in combination with others. In this way they can be used as a smaller solution to start with and be expanded with further modules at a later date. WorkplaceAware enables employees to report near misses, safety observations and facilities operations issues using the intuitive mobile app, helping EHS managers identify, track, and resolve potential safety issues quickly. Enablon offers a Green Facilities solution designed to empower organizations to decrease or, in some cases, completely eliminate manual environmental data entry and validation, resulting in substantial cost savings and risk reduction. The KellerOnline® Safety Management Tool can help with these areas of your safety program. Riskonnect is a enterprise-class risk management software. Riskonnect is designed to allow organizations to holistically understand, manage and control risks, positively affecting shareholder value. Spheras Audits & Assessments solution allows you to use your data to identify areas of risk and make adjustments in your business processes and behavioral observations to actually lower risk and the potential of an adverse event. BlueZone manager is a cloud-based solution for managing compliance, safety, and training of the people, assets, and buildings. Air Quality Solutions for Business. Increase your product value and boost user engagement and sales with global air pollution data. Dakota Auditor empowers companies to execute Environmental, Health & Safety (EHS) compliance management procedures and programs. The integrated Safety Trend Analysis and Reporting System (iSTARS) is a web-based system on the ICAO Secure Portal. iSTARS provides a quick and convenient interface to a collection of safety and efficiency datasets and web applications to make safety, efficiency and risk analyses. PURE Safety is a workplace safety data management software. Safety Management Solution is a incident management software with reporting tools, automated alerts, auto fills, incident investigation, incident inventory, and dynamic analysis. Safety Plus is a full-service safety management company whose mission is to deliver aggressive risk-management services that generates significant return on investment by reducing employee-related risks. Salus Pro is the leading software for companies trying to go paperless in the field. We combine communication, time tracking, digital forms, and management tools into a single, user-friendly application. Most Intuitive & Affordable Safety Software! The easiest way to manage your entire safety program from mobile apps and the web. SiteDocs features a custom form builder, PDF document library, worker certification management, offline-mode, reports, and more. SiteDocs will help you easily manage your safety program while saving you time and helping you maintain the highest standard of safety possible. SiteHawk is an innovator in chemical data management and compliance solutions offering a complete approach to SDS management, chemical inventory tracking, and product sustainability initiatives. SiteHawk solutions are utilised vitually by organisations worldwide to manage their hazard communication programs, meet EHS compliance initiatives, manage chemical inventories and chemical data, publish safety data sheets, and keep workers safe throughout the organization. The Inspection Managers innovative and easy to use survey and asset inspection app, is changing the way data is collected, formatted into a PDF and delivered to colleagues and clients within minutes of completing. VelocityEHS is the leading global environment, health and safety (EHS) software provider. Its award-winning, cloud-based software platform and innovative mobile solutions revolutionize how companies recognize and manage operational risk, helping them improve workplace safety and reduce environmental impacts faster. With enterprise-level EHS capabilities accessible and affordable to businesses of all sizes, VelocityEHS helps more companies solve their complex compliance and regulatory challenges in simple ways. The company’s MSDSonline chemical management solutions streamline the organizational-wide management of chemical inventories and makes it faster and easier to communicate the hazards associated with those chemicals to employees. The MSDSonline HQ and HQ RegXR Accounts feature built-in GHS workplace labeling capabilities, while its SDS/Chemical Management Mobile App simplifies complex chemical inventory management tasks and provides on- and off-line access to SDSs to ensure employee right-to-know access is being met. A sampling of other GHS/HazCom solutions includes on-demand training courses, SDS Authoring, and Regulatory Consulting Services. Other VelocityEHS modules include Incident Management, Audit & Inspection, Ergonomics, Air Emissions, Management of Change (MOC), Compliance Management, Risk Analysis, Performance Metrics, Corrective Action, Waste Compliance, Water Quality, On-Demand Training and Training Management. The user interface supports 16 languages, and is suitable for a variety of industries including manufacturing, chemical manufacturing, healthcare, oil and gas, construction, education, municipalities, utilities, pharmaceuticals, transportation and retail. Recognized by the industry’s top independent analysts, including leading scores in the Verdantix 2017 Green Quadrant Analysis and 2017 NAEM EHS & Sustainability Software Ratings Report, today more than 13,000 customers worldwide across virtually every industry trust VelocityEHS to improve EHS performance. A secure and efficient solution to save all your reports online, instead of thousands of papers. Report field events quickly and securely with the 1st incident app. 4hse is aimed at corporate Protection and Prevention Officers, as well as consultants who need a tool to manage their customers’ safety projects. EUPHOR is a Compliance Management Solution designed for chemical companies to help them manage their substance registrations and centralize their compliance activities and data in a single platform. AcotelNet Energy Management is a real-time Cloud-based solution which provides users with advanced tools to measure, monitor, analyze and optimize the energy consumption, control energy expenses and quantify the savings achieved. Actio Regulator is a chemical inventory management software system for manufacturers that generates labels and reports on chemical inventory, toxic substances by volume, emissions, and waste streams. Actio's SDS Vault is an MSDS and GHS online database software solution for the management of safety data sheet labels, documents, data, distribution, and storage. ADAM Environmental Management is a management tool to track and inventory the asbestos, lead-based paint, indoor air quality, documentation, photos, inspection dates, and abatement project information. Advisor Energy Analytics is an energy management information system (EMIS) that is easy to use by all levels and all skill sets. Airsweb is a leading QHSE (Quality, Health, Safety, Environment) software solutions provider, focused on helping clients around the globe manage risk, maximise compliance and develop sustainably. Airsweb Audit Management is a powerful, easy to use, configurable audit management tool with best practice templates, automated scheduling, and non-conformance action tracking built-in. Airsweb AVA software solution provides a structured approach to managing quantitative and qualitative risk assessments. It helps company-wide EHS and risk officers to understand hazards, develop controls, assign actions and share templates and assessments to mitigate risk. Airsweb EHS Management is an EHS management software that delivers a suite of integrated modules to support businesses compliances, governances and environmental needs with its scalable and mobile applications. altAMPS is a renewable energy project planning and management software. AndSafety develops user-friendly mobile apps and services to increase safety in the workplace. Mobile checklists, observation and reporting tools and cloud service are designed for anyone working in harzardous environments. Anvl is a next-generation mobile safety solution for the workforce. Anvl’s workforce-first technology captures leading indicators and leverages emerging technologies like mobile, AR, wearables and IoT devices to prevent failures and deliver a targeted safety assessment experience. Arbox Hap is a software solution for asset managers in renewable energy, helps owners operators, financier, and independent power producers. 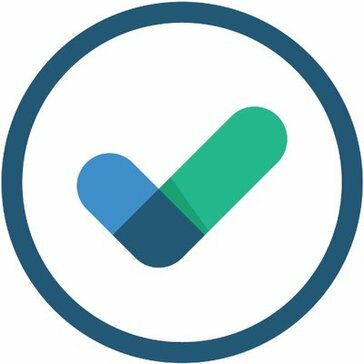 AssessNET is a management system cloud-based Health and safety software system offering online tools help to focus on providing governance, risk management and compliance for organisations large and small. Hi there! Can I help you find the best Environmental Health and Safety solutions?